The search for a missing retired Dallas firefighter in Hunt County now includes the FBI and Texas Rangers. Michael Chambers, 70, has been missing since Friday. On Monday afternoon, the Hunt County Sheriff's Office revealed that a small amount of blood was found inside Chambers's shop next to his Quinlan house. However, there is no sign of a struggle in the shop or in the house. It is also not known at this time if the blood found belongs to Chambers. It is being tested. His family attended a press conference late Monday afternoon with Hunt County Sheriff Randy Meeks, pleading for help. "This is absolutely unlike him. He's not a person who just disappears," said daughter Cheri Haynes. "Someone knows something, and we plead if that person is you, call the Hunt County Sheriff's Department." 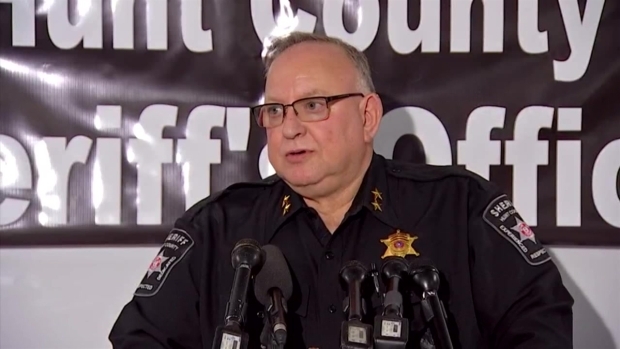 The Hunt County Sheriff's Office holds a news conference with the family of missing Dallas Fire-Rescue retiree Michael Chambers, who was last heard from on Friday, March 10. Based on the investigation, detectives believe Chambers was in his shop at some point on Friday. Chambers spoke with his wife on the phone Friday morning. When she returned home that evening just before 7 p.m., he was gone. Meeks told reporters that there is surveillance video of Chambers at the Quinlan Wal-Mart store at about 11 a.m. Friday. He says Chambers was alone and was not followed out of the parking lot. Meeks did not elaborate on what exactly Chambers purchased at the store. Detectives believe whatever happened to Chambers, it happened between noon and 3 p.m. Friday. "It is unclear at this time if Mr. Chambers somehow became injured and walked away from the location looking for help, or if he was taken against his will," Meeks said. Hunt County Sheriff Randy Meeks is asking for the public's help in locating a missing Dallas Fire-Rescue retiree. Some items, including cash, were taken from his home, the sheriff said. His pickup truck was not taken, but Chambers's cell phone is missing. Meeks said investigators were able to get a ping off the cell phone, but declined to elaborate. "I'm really torn because we don't have any answers, and we've just followed every lead we can possibly follow and we're just coming up with nothing. And it's just tearing us apart," Meeks said. The Texas Rangers are now assisting in the search for Chambers, and the FBI has also been alerted to this case. A search Friday night that included trained a K-9 team and a Department of Public Safety helicopter with heat-sensing technology turned up no sign of Michael Chambers, the sheriff's office said. The Hunt County Sheriff's Office now says 70-year-old Michael Chambers, a retired Dallas Fire-Rescue firefighter, may have been taken from his home. Chambers is 6-feet 3-inches tall and 225 pounds and has balding, gray hair. He does not have any medical or mental disabilities, according to the sheriff's office. 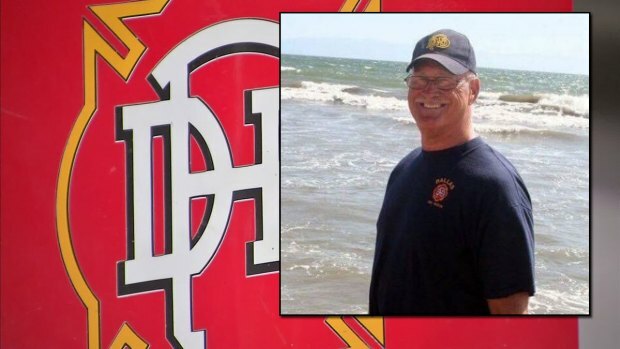 Chambers was a Dallas firefighter for 36 years, according to family. "Michael Chambers is my dad, beloved husband, dedicated grandfather, great-grandfather, healthy, hearty civil servant," said Haynes. Meeks told reporters he is a personal friend of Chambers. "I was a Sunday school teacher for several years. I've never known a more devout Christian man than Michael Chambers," said an emotional Meeks. "I trust him with my life. He's a great family man, he loved his wife dearly and I don't know if somehow he was protecting her." If you have any information about this case, call the Hunt County Sheriff's Office at 903-453-6800. NBC 5's Ashleigh Barry contributed to this report.